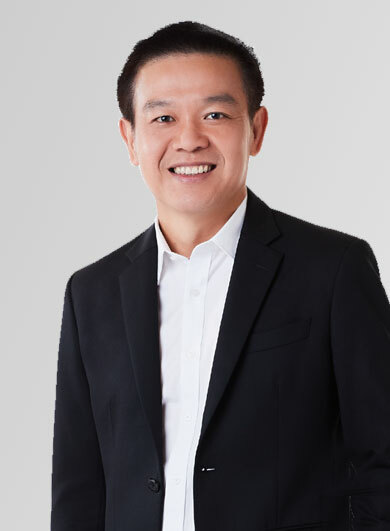 Given the overall picture of corporate performance in 2018, the Company managed to generate a revenue of more than Baht 15,796 million, mainly derived from sales of residential projects and rental income from commercial properties such as office buildings, a 29% increase from the same period a year before, and delivered net profit of Baht 2,101 million, a 76% increase. The Company has launched 19 residential projects worth more than Baht 23,000 million or an annual increase of 180%. The Company’s total dedication to developing its residential projects to lift up the quality of living and therefore recorded full bookings in the first two days of its project launches in several projects. Better still, newly-launched projects in rural market also received a favorable feedback. To gain mindshare with millennial demographics and raise its corporate profile on social networks, the Company devotes resources in driving home its marketing messages through social media platforms. More than 900,000 likes and follows amassed on its social media accounts thus far bear a testament to growing popularity and brand awareness of ‘Golden Land’, especially in the area of its value proposition that resonates with clients and therefore influences their decision-making when it comes to buying a home. In a nutshell, building brand equity through social media puts ‘Golden Land’ brand at an advantage in becoming a preferred choice over rivals. The occupancy rate of above 95% at office buildings owned and managed by the Company, i.e. FYI Center, Golden Land Building, Sathorn Square and Park Ventures Ecoplex, reflects the Company’s strength and capabilities in the effective management of office buildings that helps build up reputation, gain trust from tenants and produce a sustained flow of revenue. The construction of a new mixed-use complex project called “Samyan Mitrtown” is now underway and makes a progress of more than 50%. It is expected to be completed and operate in 2019. Located at Samyan intersection connecting Phaya Thai Road and Rama IV Road with a project value of Baht 9,000 million, it is comprised of 1) retail space 2) office building and 3) residential area. In addition, the Company invests in the construction of an underground walkway connecting Samyan Mitrtown building with Samyan MRT station for greater convenience of commuters. Under its GOLD Pro project, the Company resorted to technological solutions in boosting the efficiency of the Company’s database system management, adopting a SAP HANA system, the most cutting-edge enterprise resource planning technology, for effective decision making through systematic data analysis and greater precision in development planning. The project is live on 1 November 2018. The Company is firmly committed to promoting personal development and professional growth of its employees who are deemed the most valuable asset. The Company participated in “Best Employer Thailand 2018” opinion poll for the second consecutive year to survey level of employees’ engagement for the organization. The survey results are aimed at helping align the best interests of the Company and its workforce. More than 90% of the employees responded to the survey. The latest survey indicated that the Company’s Employment Index increased from the prior year and it obtained higher scores than the average for Thailand’s companies. Today’s and tomorrow’s successes will not be possible without devoted support and invaluable assistance from all stakeholders, be it clients, shareholders, management and employees, as the President of Golden Land Property Development PLC, I would like to express my heartfelt gratitude to you all for continued dedication and full commitment to drive this organization thus far, and I am determined to bring the Company to its highest potential to reach its vision to become a leader in the property development industry sustainably.